Fun and EASY homemade sensory toys ideas for toddlers! Sensory toys are GREAT for toddlers to help them learn and enhance their natural curiosity. Good news is, these sensory toys are VERY easy to make at home using items you probably already have around your house. You should see all the DIY busy boards our Pinterest followers have made! Sensory toys are fun and educational – AND they can be very cheap homemade toys as well. What a cute “busy board” idea! 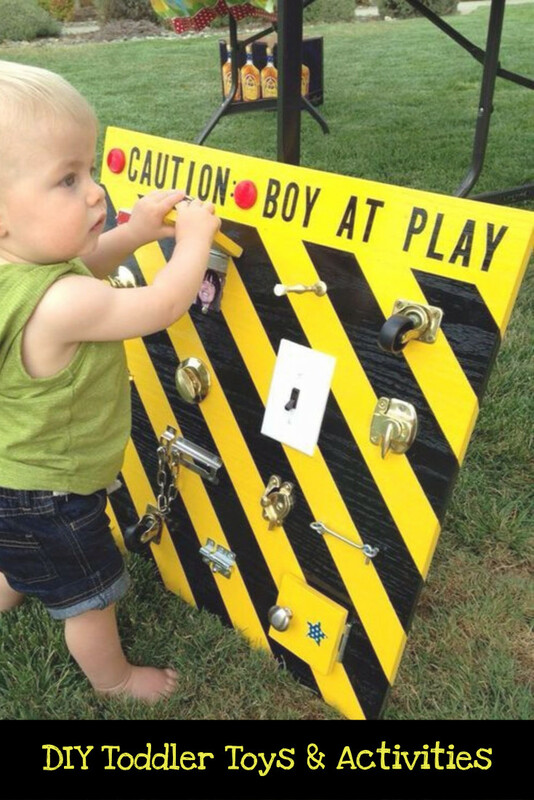 We have a LOT of DIY sensory board ideas on our main site here, but this is one we haven’t seen before – love it! 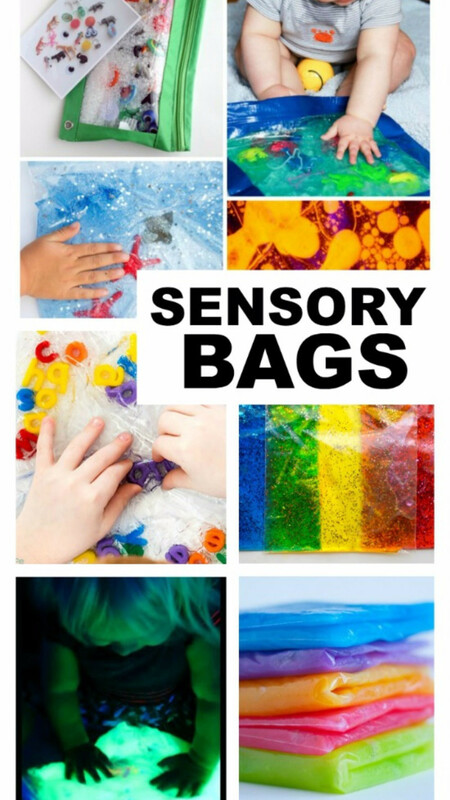 How to make these sensory bag toys? You can fill a ziploc bag with body wash or hair gel – add in little toys, alphabet letters, glitter – anything fun like that… and then seal it with packing tape to make it extra secure. These DIY sensory bag toys are tons of squishy fun! Along the same line as the sensory bag toys, these are sensory “discovery” bottles that you can easily make at home from clean, empty water bottles! 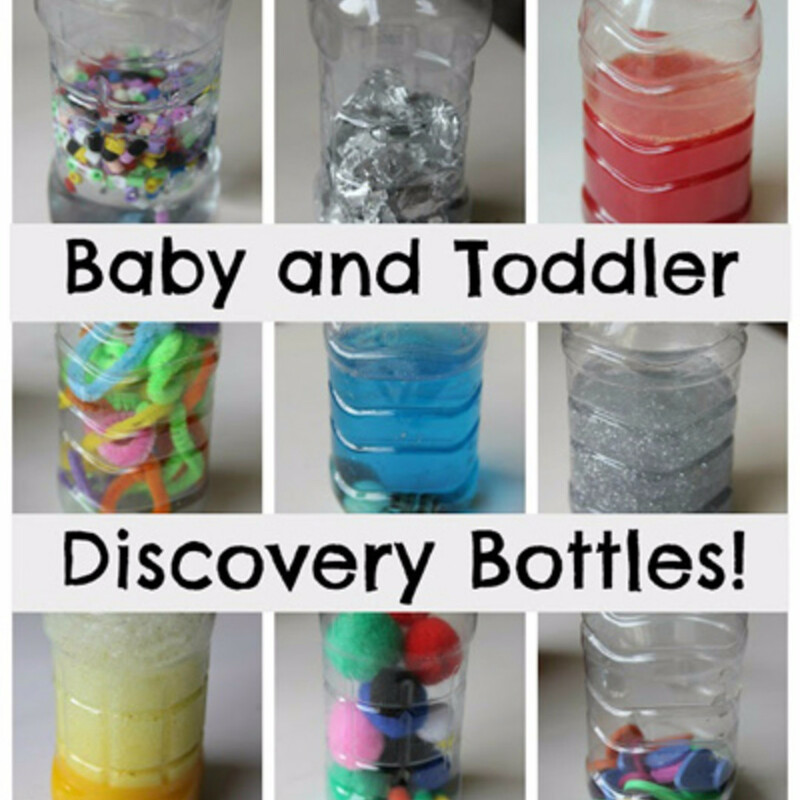 Baby and toddler sensory bottles can offer endless hours of play & learn. Fill plain plastic bottles with buttons, pompoms, paperclips, washing-up liquid, beads or anything colorful and noisy you find lying around. Add some sparkle and color with a little food coloring and glitter. Make sure to glue the bottle shut for safety.